San Joaquin General Hospital needed a solution that would address their communication challenges without affecting overall workflow or distracting patients. 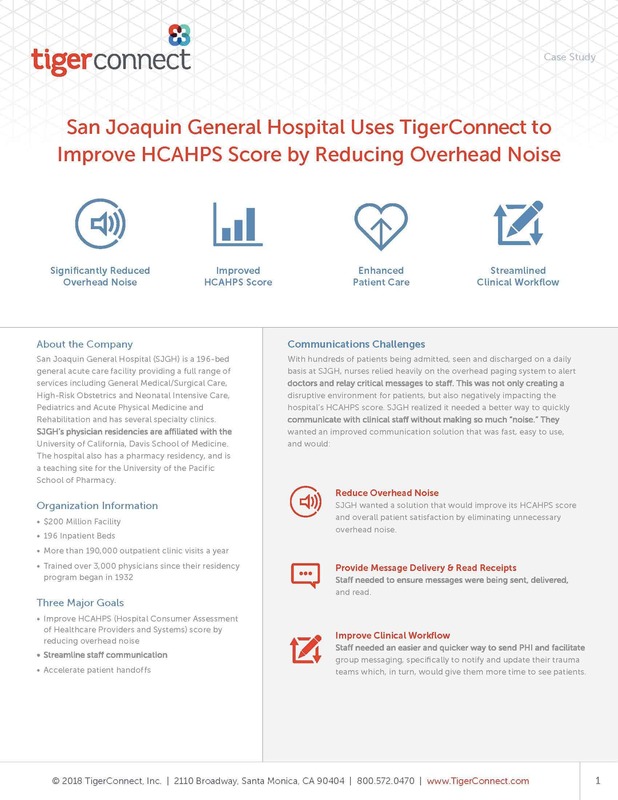 TigerConnect has not only helped them reduce overhead noise, positively impacting patient care satisfaction, but has also helped expedite SJGH’s everyday communication needs. With TigerConnect, SJGH can continue its commitment to creating a warm and personal environment – which is sensitive to both a patient’s emotional and physical needs – and now do so in an even more efficient manner.